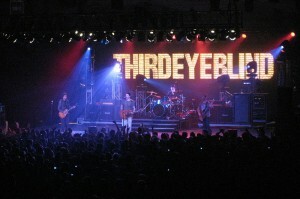 Alternative rock band Third Eye Blind are scheduled to perform in concert at Universal Studios on Saturday, June 25, 2011 at 9 PM as part of Universal Studios Summer Concert Series. Third Eye Blind are best known for their late 1990’s rock hits Semi-Charmed Life, How’s It Going to Be, Graduate, Jumper, and Never Let You Go. Click Here for more information about Universal Studios Summer Concert Series. This entry was posted in Calendar and tagged concerts, rock. Bookmark the permalink.